I’m going to preface this post by saying I’m not a doctor or a nutritionist and I don’t claim to know how each individual will react to a juice cleanse. I’m also going to say that you don’t even need to do a juice cleanse with the juicing recipes that I’m going to provide you with. 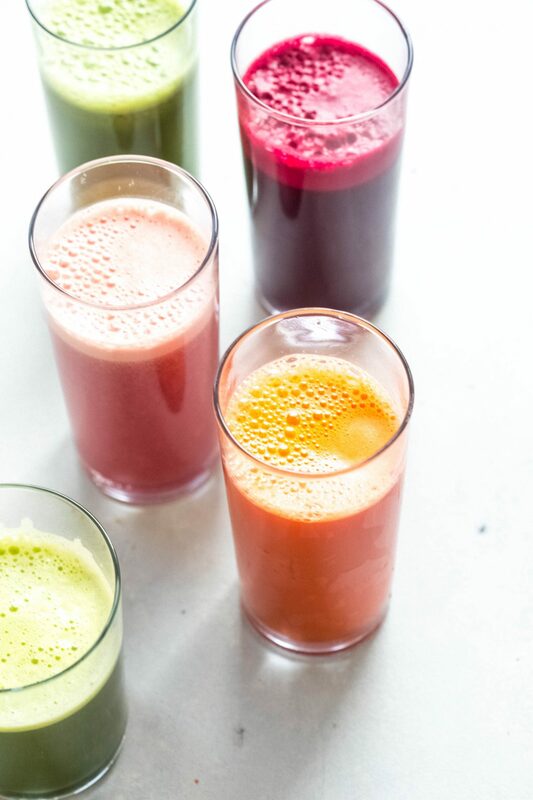 You can simply choose to add one or two of these juices to your diet each day to help boost your energy and nutrition. That’s what I tend to do. I enjoy one of these juices along with a celery juice since I’m one of those people who tends not to eat my veggies nearly as much as I should. 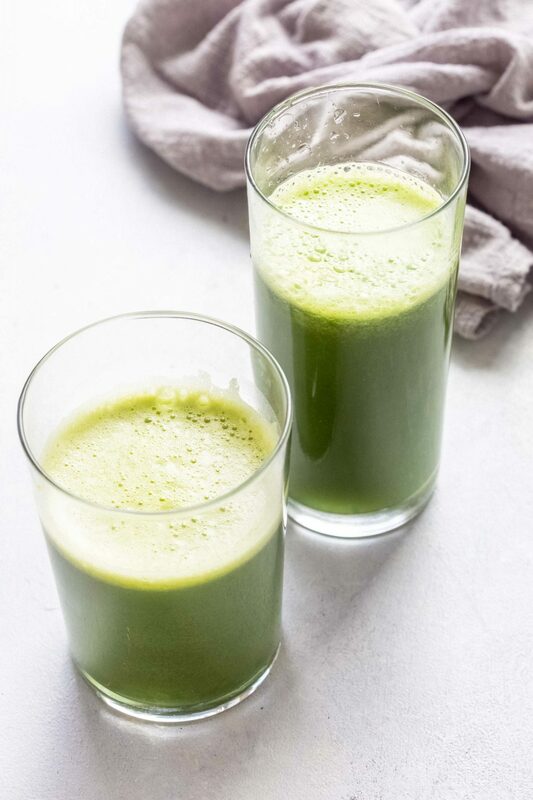 If you would like to do a juice cleanse, these healthy juicing recipes are just what you need to get started. I have done a few juice cleanses over the past couple years. My first two were done with juices that I purchased from a local juice producer here in Portland. But you know what? It’s super expensive. 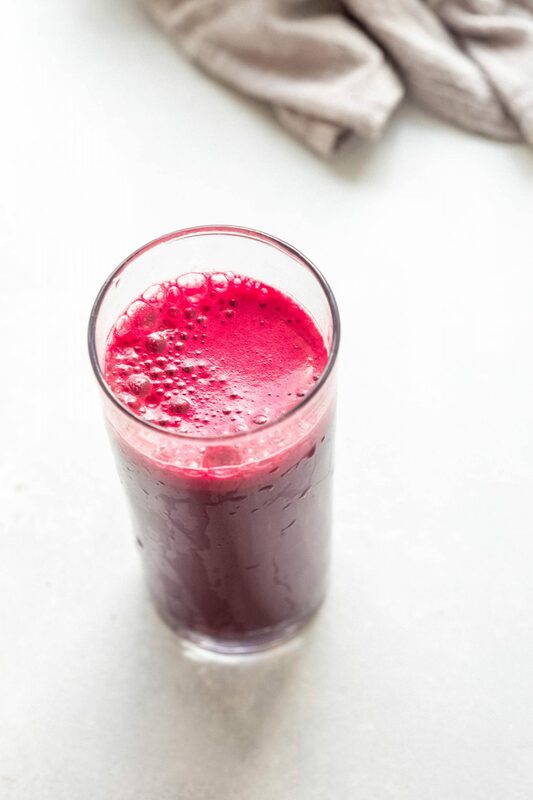 So, I finally invested in a juicer and learned that it’s super easy and just as delicious (if not more) to make create your own healthy juicing recipes at home. 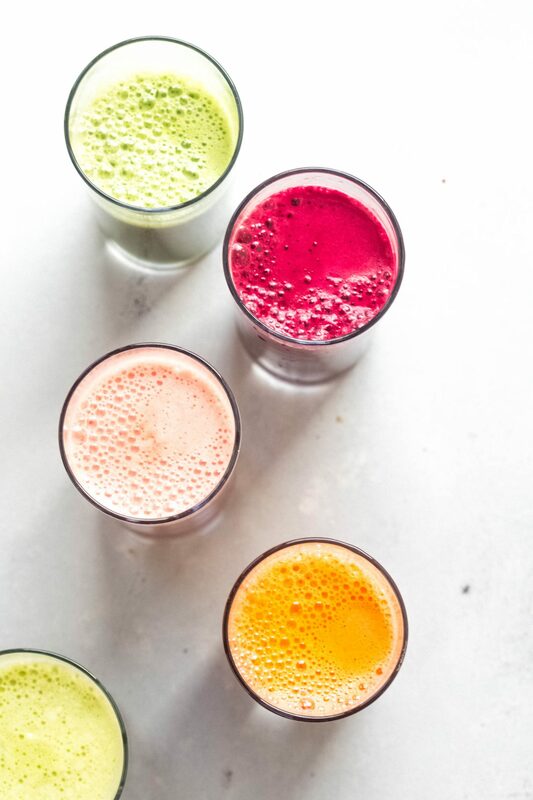 During a typical juice cleanse, I’ll drink 6 glasses of juice a day and plenty of water. 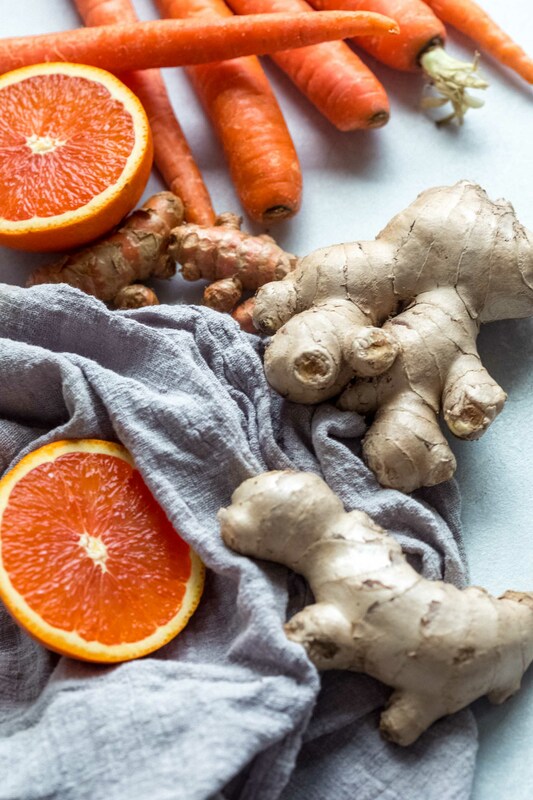 I’ve also found it helpful to supplement my juice cleanse with some homemade bone broth that I make in the slow cooker or instant pot, just because I find myself craving something warm, especially during the cooler months. Hot tea is another option to add on to your juice cleanse. You can also supplement your juice cleanse with this Weight Loss Soup that can be made in the instant pot or on the stove. I like to purchase my fruits and vegetables on Sunday and prep them all. Then, during the week, I like to prepare the individual juices each day, for optimal freshness. 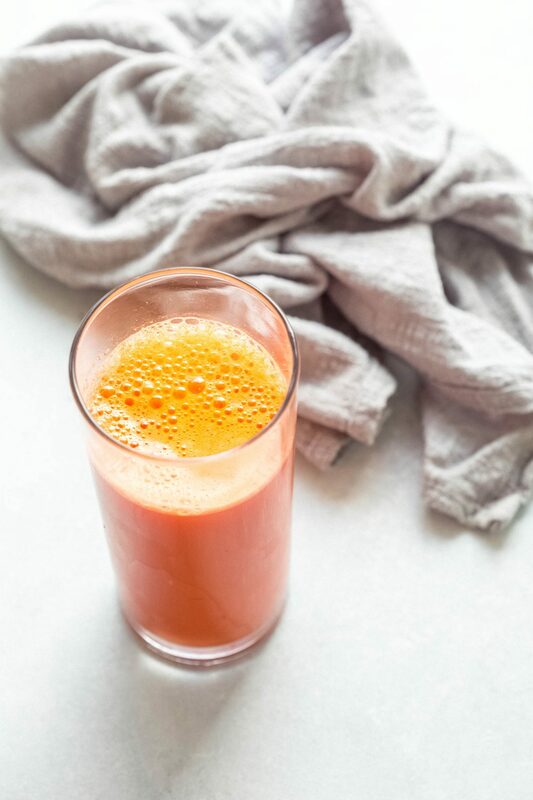 It’s said that juice is at its peak nutrition when you consume it within 15-minutes of being prepared, but 24-hours is great too. In fact, these juices will keep for up to three days in the refrigerator. 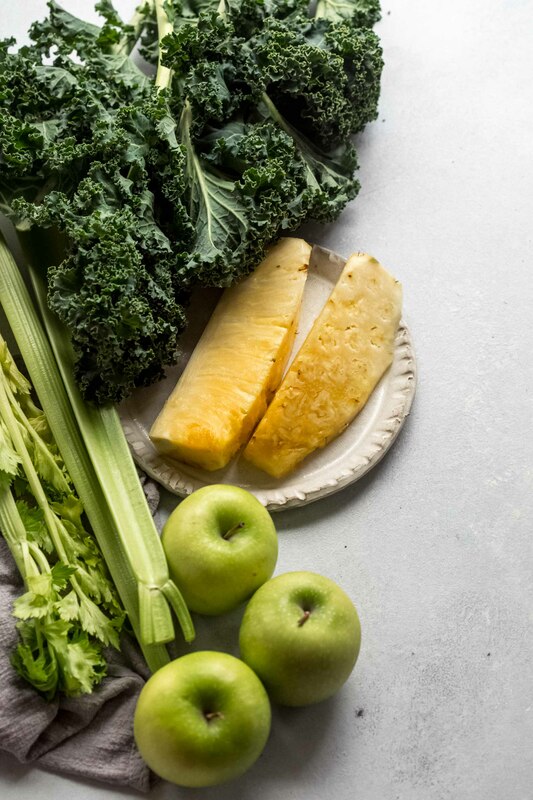 How Many Days Should You Juice Cleanse? 1 Day – This is great for beginners and perfect to give your body a reset after a particularly indulgent weekend. 3 Days – A three-day juice cleanse will help eliminate toxins, boost energy, stimulate weight loss and benefit your immune system. This is the duration that I generally stick with. 5-7 Days – Need an extra nutritional boost. Try a five to seven day cleanse to further eliminate toxins. It’s particularly useful in times of high stress. 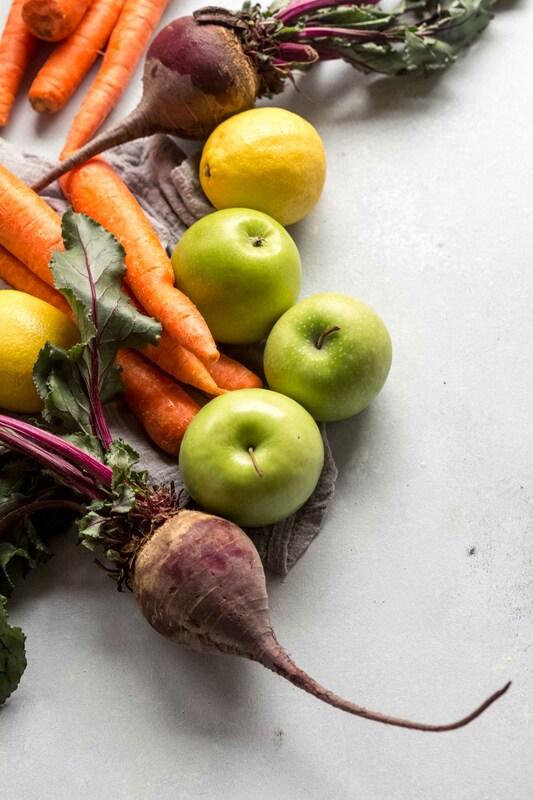 What Should I Eat After a Juice Cleanse? 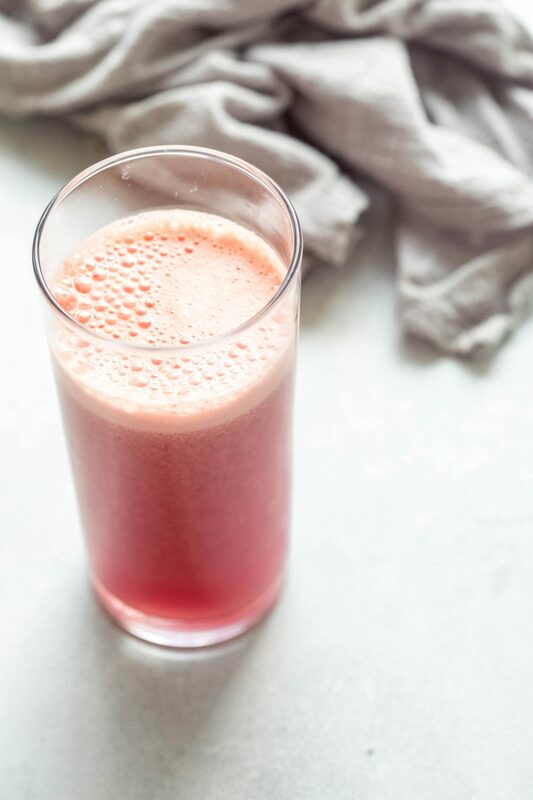 After a juice cleanse, you should aim to slowly introduce your body to normal food. Start with lots of fresh fruits and vegetables and be sure to drink plenty of water. Then, I like to introduce healthy grains like quinoa or farro, and light proteins like fish and chicken. I use this Breville Cold Juicer at home. It’s easy to clean and fairly quiet. 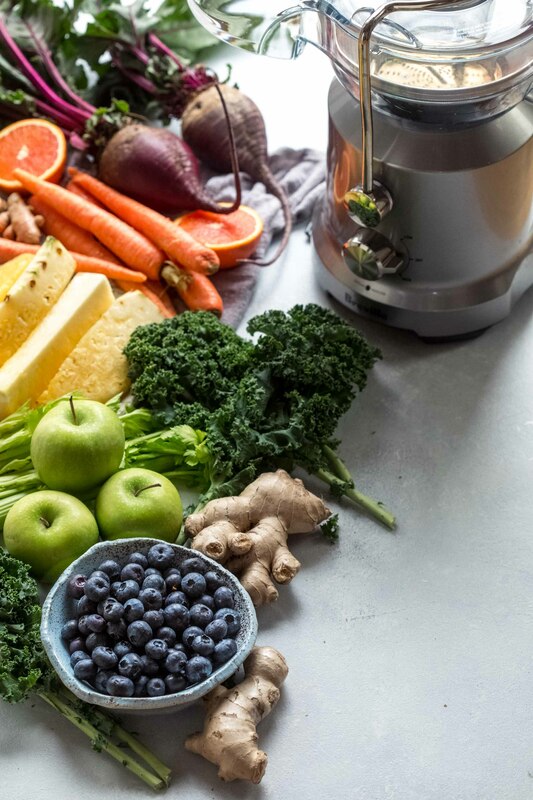 If you’re looking for a more affordable juicer, this one gets great reviews. Add to juicer and process. 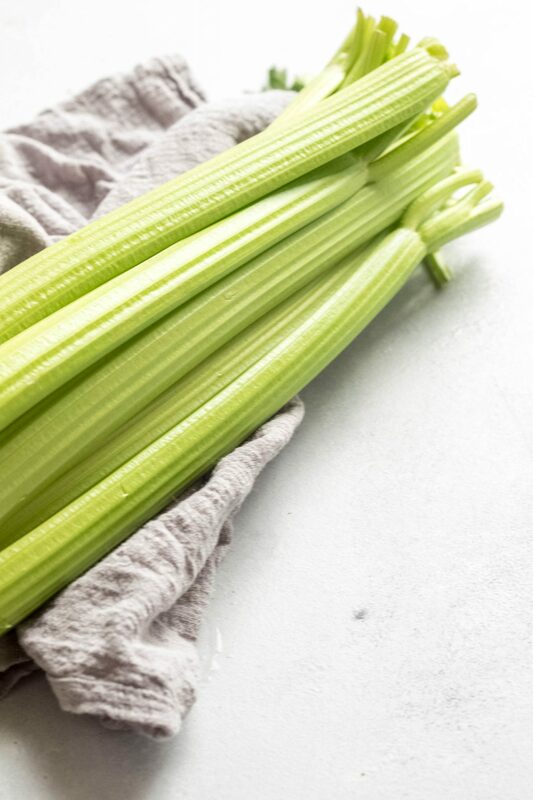 Best if consumed within 15-minutes, but can refrigerate up to 24-hours for best nutritional benefits. The juice will last up to 3 days in the refrigerator. If you loved these Healthy Juicing Recipes I would appreciate it so much if you would give this recipe a star review! 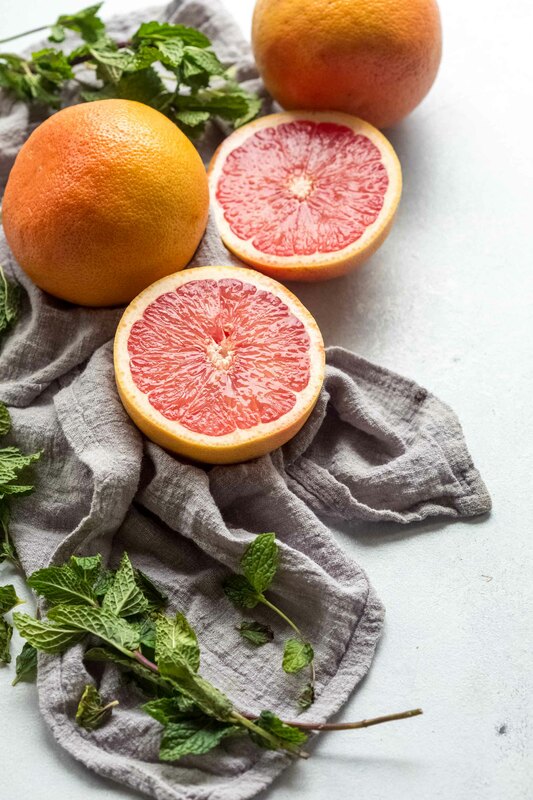 Also, be sure to snap a picture of your tasty juice and share it with me on Instagram using the hashtag #platingsandpairings and tagging me @platingsandpairings. 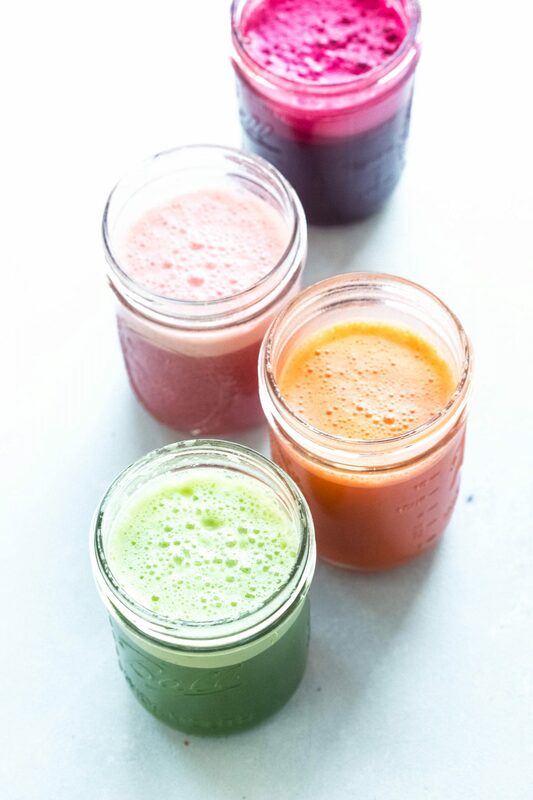 That line-up of juices at the top of your post are so beautiful and vibrant, it almost looks like you’re getting ready to dye eggs! I’m particularly partial to carrot-ginger juice myself. It’s such a delicious combo! The schedule you posted for timing your juices throughout the day is so helpful! 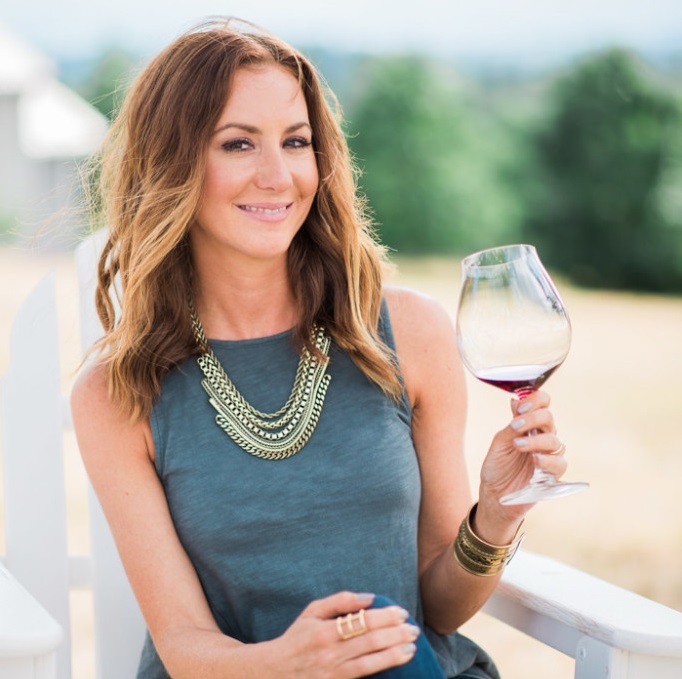 I love the idea of a juice cleanse but you are right: the purchased ones can be SO expensive. This is such a great affordable option! 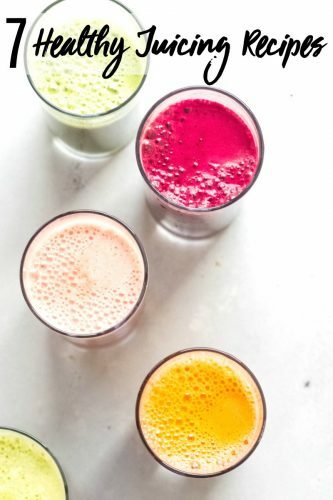 All those juices look like a rainbow 🙂 I haven’t done a full on juice cleanse but when I used to start my morning off with a green juice I always felt like it gave me a boost for the day! I agree Megan – That’s typically how I use these juices – for a boost in the AM. These photos are just gorgeous!! I’m a big fan of fruit and veggie smoothies but I haven’t experimented much with juicing- I’ll have to try your recipes. I have done both at home and purchased juice cleanses. It’s so much cheaper to do a DIY one at home but sometimes you just need the convenience of bottles. 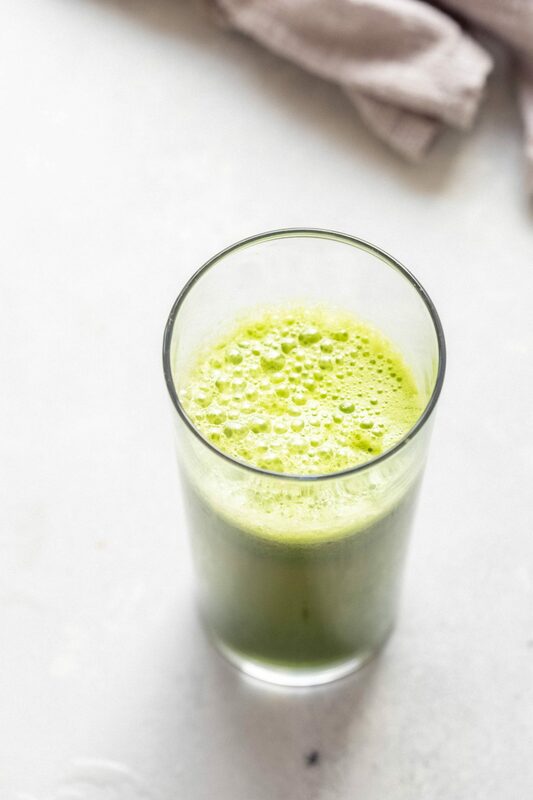 Green juice #2 is my jam though – so good. The colors alone make me want to drink up! I wonder if I could get my kids to try these?…. I think it’s time for me to get a juicer! I find myself using my blender, then straining some of the tough fibers, which is a total pain! And the amount I spend on store-bought juices (which run $4-$7) could pay for a juicer by the end of the year. Thanks for all the great tips and inspiration! You are so welcome Mary! It’s definitely an investment, but I think it pays for itself if you juice a lot.